Provide comfort for the family of Barbara Prescott with a meaningful gesture of sympathy. Barbara A. Prescott, 65, of Marcus, Iowa passed away Tuesday, April 16, 2019 at Mercy One in Sioux City, Iowa following a short illness. A Celebration of Life Service will be at 11:00 a.m. on Saturday, April 20, 2019 at Faith Lutheran Church in Marcus with Rev. Alan Cummins officiating. Burial will follow at Marcus-Amherst Cemetery. Visitation will begin at 9:00 a.m. on Saturday and continue until service time at the church. Barbara Ann Prescott was born in Le Mars, Iowa on January 23, 1954, the youngest child of Eldred and E. Marjorie (Struve) McIntire. She came home to a sister Mildred and a brother William (Bill). Barbara attended school in Marcus where she played basketball throughout high school. She met Ron Prescott and they were married on December 24, 1971. Barb was a loving mother to three children, Roxanne, Rhonda and William (Billy). She worked at the Mental Health Institute until 1994 and then took a position at the Marcus-Meriden-Cleghorn High School as a custodian until she retired due to a disability. Barb loved spending time with her family including her children’s friends who made her house a second home. Her grandchildren kept her fighting through her battle with cancer and gave her hugs and smiles on difficult days. Barb and Ron celebrated 47 years of marriage this past Christmas and enjoyed retirement by riding the motorcycle and their annual trips to South Padre Island, Texas with friends. She will be lovingly remembered by her husband Ron of Marcus; daughters, Roxanne (Delbert Witzke) Prescott of Emmetsburg, Iowa and Rhonda (Jim) Kayser of Le Mars, Iowa; her son, Billy (Megan) Prescott of Spencer, Iowa; grandchildren, Sam Vander Vegte, Andrew Prescott, Sean Kayser, Spencer Kayser, Noah Prescott, Madalyn Lauman, Grant Prescott, Seth Kayser, Ava Prescott, Paul Joseph Lauman, Brody Prescott and Quinn Emily Prescott; sister, Mildred Wheeler and her son Dennis (Trista) Wheeler, all of Colorado Springs, Colorado. She was preceded in death by her parents Eldred and Marj McIntire and her brother Bill. 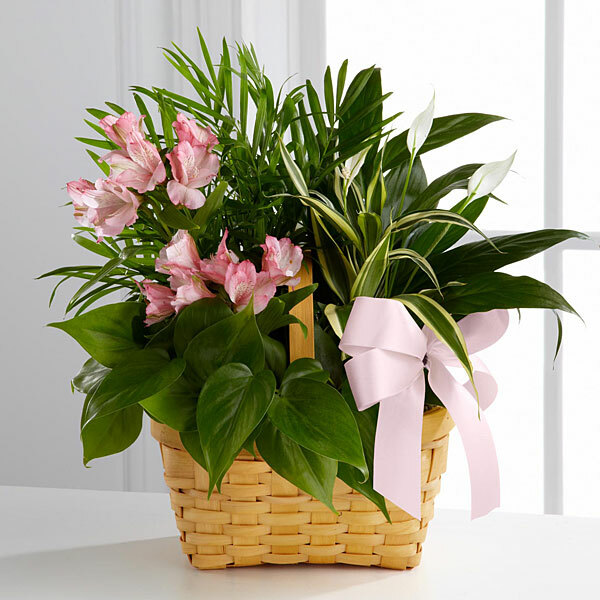 To send flowers in memory of Barbara Ann Prescott, please visit our Heartfelt Sympathies Store. Eric, Amy, Tanner, Mason sent flowers to the family of Barbara Ann Prescott. Eric, Amy, Tanner, Mason purchased flowers for the family of Barbara Prescott. Heartfelt Sympathies Store purchased the The FTD Living Spirit Dishgarden for the family of Barbara Prescott.